Lalitpur Patriots fans turn in into the ground with their team jersey. It was much more than an opening encounter of the much-waited league of Nepal. The excitement of people, the new outlet of the playing arena, systematic dugouts for players, interviews in the middle of the matches displayed in the big screen and players enthusiastically involved themselves in the inaugural match. People gathering to collect their tickets. It started with all fizz, energy and most importantly a positive vibe. 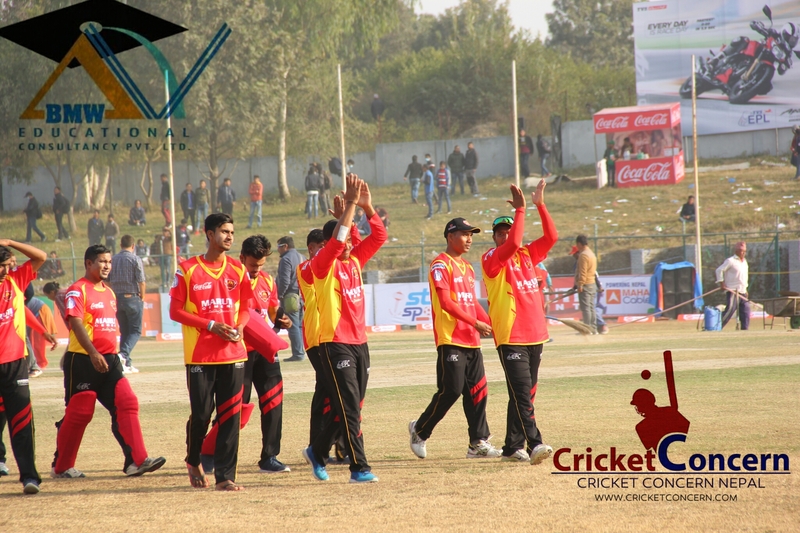 Kathmandu Kings XI and Lalitpur Patriots came out with everything they had. Kathmandu Kings XI won the toss and veteran all-rounder Farveez Maharoof didn’t hesitate to choose to bat after inspecting the pitch. His decision didn’t go in favor of his team as the team tumbled right from the start. All of their batsmen who were looking strong in the paper couldn’t find the way out from tight seam bowling in the beginning from Subodh Bhati followed by Lalit Rajbanshi as well as Sandeep Lamichhane in the middle overs. Hence, the whole of Kathmandu bundled out in mere 89 runs, leaving Lalitpur to chase down 90 in 20 overs. 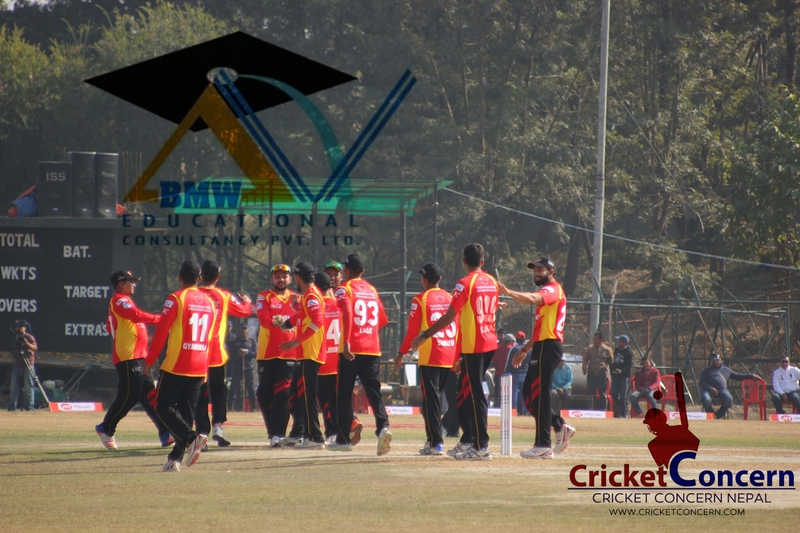 Their stay of 18.3 overs saw only one positive thing as the emerging youngster Amit Shrestha played nearly; run a ball 27 that helped them to bowl something that they could defend. For Lalitpur Subodh Bhati chipped in with 4 wickets with fire, bounce as well as venom mixed in his delivery in regular interval. His line and length were awesomely perfect and the way that he adjusted in such situations in Nepal in his 1st game is the most significant thing for the team. On the other end, Lalit Rajbansi bowled his heart out and pitched the ball in the coin placed by the coach as well as captain as their execution of the plan. Sandeep Lamichhane gave 100% support to help them freeze the scoring of opponents. The situation demanded at least 3 wickets in the 1st five overs for Kathmandu King’s XI with their below-par target for Lalitpur Patriots. They couldn’t ask for more after their marquee player Sompal Kami gave them the ideal start, knocking the middle stump out of the ground in the 2nd ball of the inning. The energy got restored and vibration of a winning energy could be felt all over the stadium. Things went from bad to worse after the captain of Kathmandu lost his mark and plans. He tried almost everything apart from sticking to regular plans. His execution went wrong in all direction as he gave singles, doubles as well as boundary hitting options to Lalitpur’s freely flowing batsmen. Lalitpur Patriots players applauding their fans for the support. The missed communication between captain and marquee player cost them the match as they just waited for the end result that was already presumed by them. Hence, the captaincy was the main reason for their let down as they didn’t have an attacking execution of the plan. Its glimpse could be seen in their batting order as the promising youngster like Siddhanth Lohani was sent far below than his regular position. Similarly, Mahroof’s promotion in the 4th down saw nothing out of his caliber. 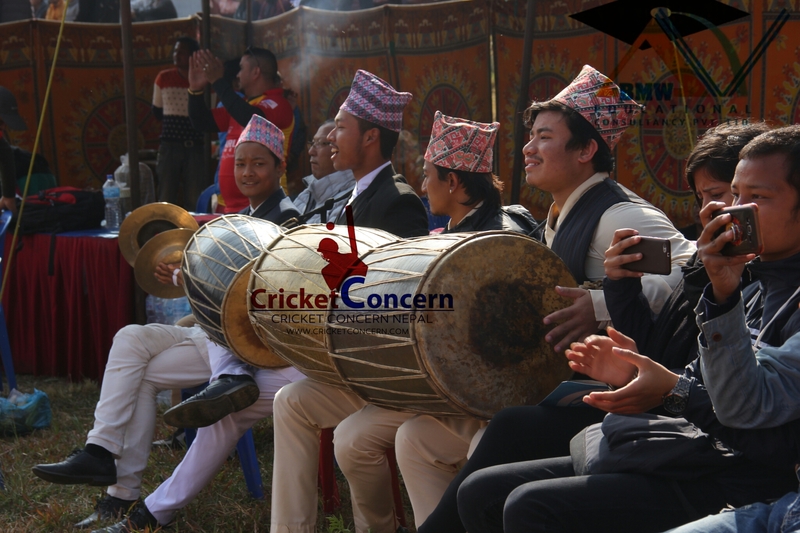 Hence, in the end, it was all sensible cricket from Gyanendra leading from the front with Kolsawala showing the whole batsmen sitting in the dugout to cope up with the match situation. They played rightly as per the demand of the situation. Reflection of Lalitpur historical culture. 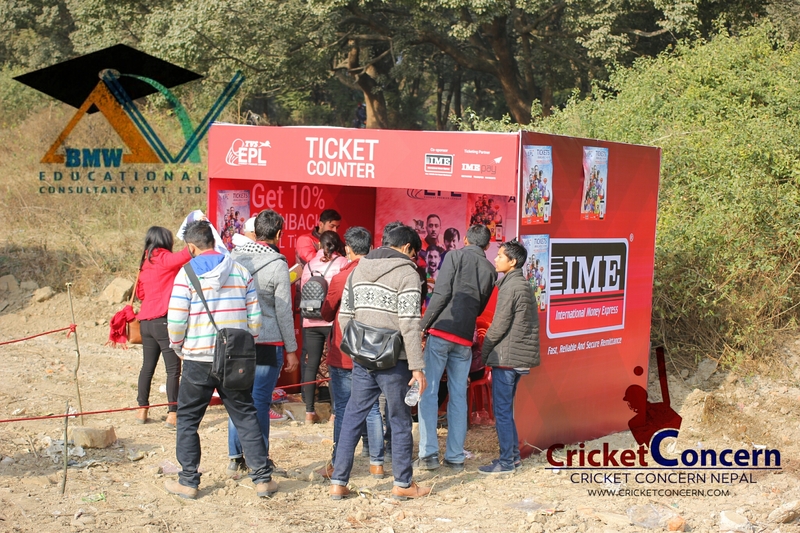 Therefore, the cultural and optimistic Lalitpur fans got the result that they thoroughly deserved as they beat Kathmandu King’s XI by 7 wickets with 18 balls to spare. The inaugural match made a clear statement that no matter how a team looks strong on paper, in the given day any team can beat any other team as per the intent and intensity in which they play cricket.